If the question of national origin is reinstated on the 2020 Census, immigrants could be targeted and many could be deprived of the government services they need. They were Japanese Americans, and the government used the census information that was supposed to remain confidential to force them and 120,000 individuals, the majority U.S. citizens, from their homes and into camps. 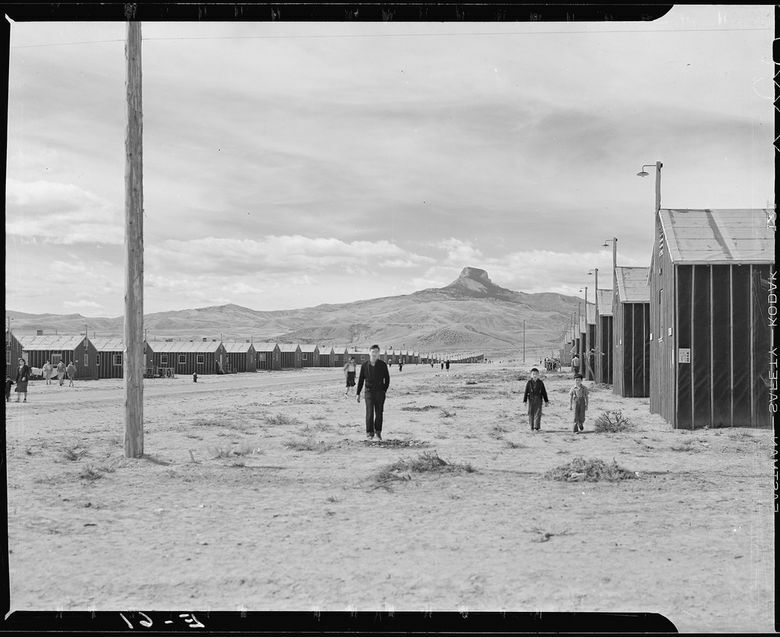 After the war, when the incarceration of Japanese Americans was deemed one of the worst human-rights violations in U.S. history, the government eliminated the question about nations of birth and vowed to keep the information confidential. The Trump administration wants to reinstate the question of national origin on the 2020 Census, a move that would discourage many immigrants, legal or not, from filling out the forms because they fear the government will use that information to target them. That would create an inaccurate count that could deprive areas the political representation they deserve and the government services they need. At first, Commerce Secretary Wilbur Ross said the Justice Department had recommended the change. That later proved not to be true. Instead, the change was proposed by Steve Bannon, the former Trump campaign adviser and White House aide whose divisive brand of white nativist politics proved too toxic even for this White House. In the spring of 2017, Bannon urged Ross to talk with Kris Kobach, the secretary of state of Kansas known for his anti-immigrant proposals, about including the question about nation of birth. Three weeks ago, voters in heavily Republican Kansas rejected the bid by Republican Kobach to be the state’s governor. This proposal is precisely why Japanese Americans ended up incarcerated without due process in the hysteria following the surprise attack on Pearl Harbor on Dec. 7, 1941. Despite having no evidence that the Japanese Americans posed any kind of security threat, the federal government, pushed by racist officials in the military, deemed all of us a danger. They used the census information to help round them up. Then they lied about it for more than 50 years. While researching my book on the Heart Mountain camp in Wyoming, where my American-born parents were incarcerated, it is clear to me how confidential information can be abused and misused toward minority groups for political purposes. That threat to American residents of different national origins has resurfaced under the Trump administration, which now presides over policies that separate children from their parents when they seek asylum in the United States. In another sad reminder of the incarceration, the administration is building tent cities to house the detainees. The administration’s proposed use of census information smacks of a police state bent on repressing certain groups of people. Before the rules governing the use of census information were changed in 1942, it was Republicans who feared the abuse of confidential census data. They feared the Roosevelt administration would use census data to target businesses for onerous regulations. If the administration and Congress had remained committed to confidentiality, it would have made it much harder for the government to locate and target my family. That confidentiality needs to be preserved. The question about nation of birth must be eliminated. The face of America is no longer white only. The sooner we recognize that and disregard steps aimed at dividing us, the sooner we can heal the wounds of division that slow our progress as a nation that bears the slogan E pluribus unum — out of many one. Shirley Ann Higuchi chairs the Heart Mountain Wyoming Foundation, which runs an interpretive center at the site of the camp where her parents were imprisoned. Her book, "Setsuko’s Secret: The Story of an American Concentration Camp," will be released in fall of 2019.